I’m too excited to sleep just yet. My new writing group met for the first time tonight, and while we missed some people due to scheduling problems and sickness, it was a thrilling experience. I have participated, or tried to participate in writer’s groups in the past and while I didn’t feel they were a good fit I learned a lot. Mostly about what I didn’t want to do in a group. I hope that info works for us this latest venture. I think a key factor to make this work is that we (at least those that made it tonight) are at very similar points in our writing. Which is…stalled and trying to quit making excuses. “No Excuses” is going to be our battle cry, and we’re all tasked with holding each other to it. We’ll try to be as ruthless as possible in culling excuses that keep ourselves and our comrades from writing those pieces we’ve been holding back from the world. 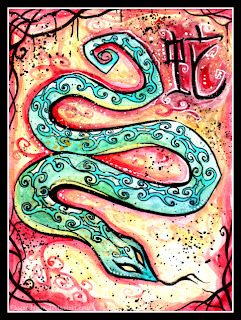 It was pointed out that next month is the start of the year of the Snake. Before I share a cool info graphic about the year of the snake I would like to point out that there are a lot of crap web sites out there that are optimized for Chinese horoscopes. Google hasn’t figured out their keyword stuffing techniques quite yet, but it’s clearly not quality content. End of marketing rant. After reading through the infographic to understand more about the year of the snake and why it’s a great portent for our ‘no excuses’ year of writing I’m even more excited about the association with Oprah Winfrey and Michael Bolton. Maybe Tony Blair – I’m still not sure how I feel about him and his career. I look forward to accountability for my writing, feedback on the pieces I’m working on so I know if it’s good or I’m just throwing words on a page (like this post), and the opportunity to read some exciting work in progress. Three cheers for the Unruly ones getting serious about our writing. The Year of the Unruly Snakessss. I feel very strongly that what makes brilliant writers are brilliant readers. Just through participating and being a close reader, you will find it helps your own work. Reading other work will inspire you to write more of your own. I’m excited to read everyone’s work as well. Oprah Winfrey! Yes, to Oprah Winfrey, but I don’t know about everyone else up there. Is your group still meeting? We need to regroup for the fall. Are you interested in joining us? Yes, but I’m not sure if I’d be a good fit for the group. What’s your focus?